Hello from the Australian Islamic College! I’m with Sister Jamila (Islamic Studies teacher) discussing looks, headscarves and respect. We’re also joined by Year 7 students Siti and Aliah who share their thoughts on friendship, trust and loyalty. 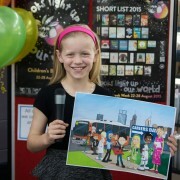 Listen to Pip’s news report from our official launch during Children’s Book Week 2015. 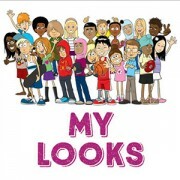 Includes interviews with Dr Mike Nahan, Minister for Citizenship and Multicultural Interests and Ms Chloe Mauger from the Children’s Book Council of Australia. Watch the video of this news report on our website – includes footage of our friends from Cloverdale and Carlisle Primary Schools. 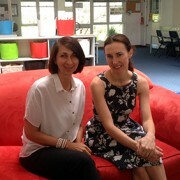 (Thank you to Jade O’Regan for playing Pip the news reporter, and TGV for film and sound). 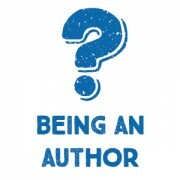 I answer your questions about being an author. If you could give advice about writing, what would it be? I answer your questions about why I wrote this book. Why did you write Multicultural Me? How did you get the ideas? 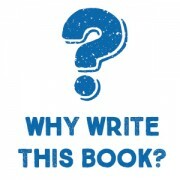 Were you happy when you made the book? How old were you when you made the book? When did you start the book? Hello everyone, meet my friend Jason from Kaboom Toons. 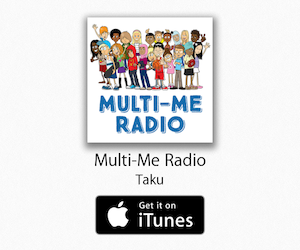 He’s the superstar illustrator who drew the awesome pictures in the book Multicultural Me. In this episode he tell us his story, how he came up with our funny book characters and what he does in his spare time. Jason used to work for Walt Disney Animation Australia and now teaches kids how to draw cartoons. See more of his work at www.kaboomtoons.com.au. (Quick correction: Amina wears a hijab in the book, and her mother wears a birqa). Hello friends, meet our PALS – Pip, Amina, Lee and Sammy from the book. I’ll also tell you about the people who inspired me to create them. 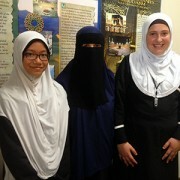 (Quick correction: Amina wears a hijab in the book, and her mother wears a birqa).